Bolens is a Canadian brand produced by MTD products, and their equipment is sold exclusively at Lowe’s Home Improvement stores. They offer three different sizes of snow blowers classified as light-duty, moderate-duty and heavy-duty. The light-duty snow blower is recommended for clearing walkways or small driveways and has a 21-inch clearing width. The moderate-duty snow blower comes in two models and works with snowfalls between 6 inches and 12 inches. The two models have 24- and 26-inch clearing widths and 208cc and 250cc engines. Finally, Bolens makes a heavy-duty snow blower built for snowfalls over 12 inches, with a clearing width of 30 inches and a 305cc engine. The Bolens Co. was founded when Henry Bolens bought the Gilson Manufacturing operation in Port Washington, Wisconsin, in 1914. Henry Bolens had joined Gilson Manufacturing in 1898 when the company made furnaces, stoves and miscellaneous farm equipment. At the time it was named Gilson-Bolens Manufacturing, but by 1940, the company was known as Bolens Manufacturing. Bolens introduced the first power-driven garden tractor in 1919, which was the company’s transition into the residential outdoor equipment market. It’s unclear when Bolens was acquired by MTD Products, but the acquisition could have coincided with MTD’s acquisition of International Harvester’s outdoor equipment in 1981. MTD was founded in 1932 by German immigrants Theo Moll, Emil Jochum, and Erwin Gerhard. It was founded under the name Modern Tool & Die Co. and shortened its name to MTD in 1968. The Moll family still owns the company. MTD parts will often work with Bolens snow blowers. Amazon has a considerable amount of options from skid shoes, clutch cables, drive belts, and gearboxes. Just be sure the part fits your model in the description. 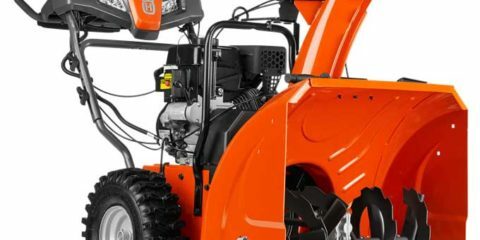 Bolens snow blowers come with PowerMore OHV 4-cycle winterized engines and feature ergonomic handles. The moderate- and heavy-duty models feature joystick controls and power steering. All models claim to have chutes that won’t rust, dent or crack and are taller to focus exiting snow. All Bolens snow blowers come with limited four-year warranties.